It’s too early to know if graphene, the one-atom-thick sheet of carbon held together in a honeycomb pattern, will indeed be the successor to modern-day silicon although a recent discovery by researchers from the Max Planck Institute for Polymer Research (MPI-P) in Mainz and the National University of Singapore could heavily tip the scales in its favor. In the world of physics, Fourier’s law (in layman’s terms) dictates that the ability to conduct heat is intrinsic to the material. For example, a sheet of aluminum will conduct the same amount of heat whether you’re dealing with an inch of it or a mile of it. But as researcher Davide Donadio points out, graphene doesn’t adhere to such rules. 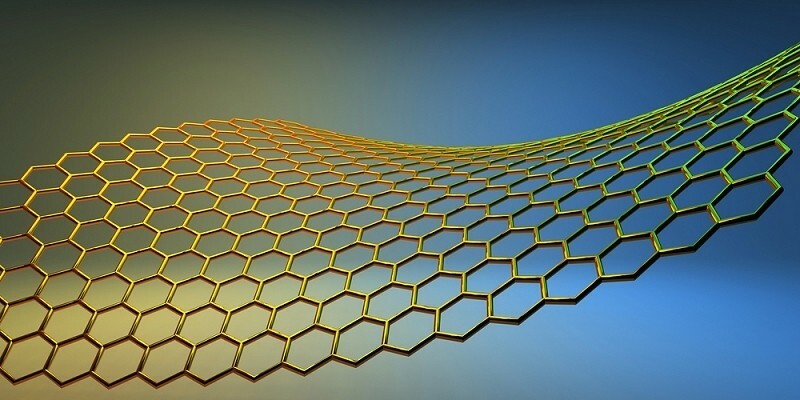 That means that the more graphene you have, the more heat it can absorb. His team was able to predict this phenomenon and verify it through computer simulations and real-world experiments. It may not sound too terribly impressive but truth be told, it’s a serious game-changer in the world of physics and electronics. As you may well be aware of, heat is the limiting factor when trying to build smaller and more efficient electrical components. With graphene, the possibility now exists that electronics of the future could be self-cooling. They wouldn’t need heatsinks or cooling fans and they’d no doubt last a lot longer as heat often leads to dead electronics.